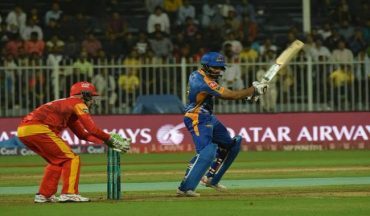 You have been watching Pakistan Super League (PSL) 2017 and or a fan of Karachi Kings, you may be well familiar of Babar Azam and what an unconventionally prolific athlete he is. Babar Azam is a right-handed batsman as well as a right arm off-break bowler. Come to think of the emerging starlets in the prospect of cricket in Pakistan, you might as well remember because he is a lad who has tenaciously thrust his claim to be one of the best youngsters out there. What makes him special is the consistent performances he continues to give in a chance when all of Pakistan and the rest of the world are watching. There have been many emerging stars in the past who turned out to be world class cricketers as they matured. These sportsmen found their chances and capitalized on all opportunities they had had during their tenure as cricketers. The prospect of youngsters looks good since we have many accountable names to celebrate, and recently, the best of all seems to be Babar Azam. 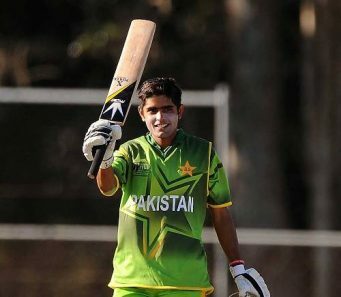 Mohammad Babar Azam, born and bred in Lahore Punjab. He was born on 15th of October, 1994 and is 22 years of age. Babar Azam kickstarted his career with Team Pakistan of course. He was enrolled in under-15s initially. He made progressed to under-19s, shortly after, while his time in under-23s did not wait for long. 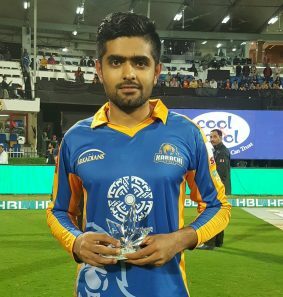 Besides Pakistan national cricket team, Babar Azam had been a squad member of Rawalpindi Rams, Zarai Taraqiati Bank Limited, Sui Southern Gas Corporation. He made his PSL debut with Islamabad United before joining and shining in Karachi Kings now. He is the cousin of renowned Pakistani cricketers, Kamran Akmal and Umar Akmal. 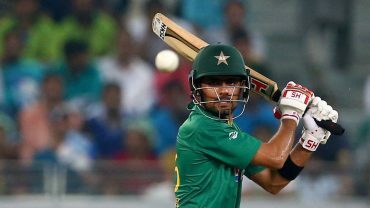 What makes Babar Azam a next level batsman? Not much about bowling, but Babar Azam’s recent performances have surely put him across as a feared, top-order batsman. He has made his chances count when it came to batting. Evident of his recent performances against West Indies in 2016, Babar Azam has surely made a replete name of himself. He scored centuries in 3 matches he started in against West Indies. He started on 30th September when he scored 120 off 131 balls. This was his first century. Followed by, centuries (123/126 and 117/106) on 2nd and 5th of October against West Indies. To acknowledge his spectacular feat, Babar Azam was named Player of the Series. 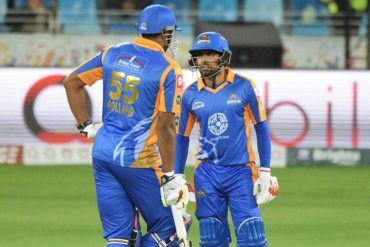 In PSL, Babar Azam is doing what most people thought Chris Gayle would do – scoring match winning performances. 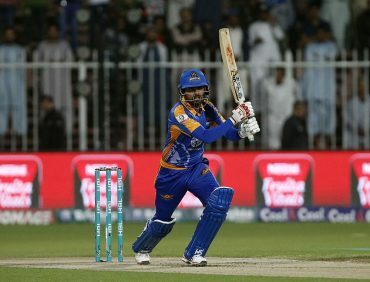 It is true; Babar Azam’s performances have worked well for Karachi Kings in notching victory over the teams. He has come out to be a batsman who does not bow down to the opposition and always capitalizes the chances he has bagged when he has batted. Babar Azam has scored half-centuries in most of the matches he has started for Karachi Kings. Just shows how important a player he is! Babar Azam’s batting style has seen him scoring a couple of singles and doubles as a warm up. He never introduces himself with a quick or reckless boundary. He always set the temperament, reads the game ball-by-ball and makes chances count. His sense of placing shots and boundaries can be a little bit compared to Inzamam-ul-Haq. Although, Inzi was not an opener for Pakistan team but was supremely important on the pitch. Babar Azam’s sense of scoring boundaries is similar to that of Inzamam Ul Haq. Just 22-years old, surely, who would not be hungry to fire up and rack up boundaries after boundaries? Babar Azam is unlike that and it is probably why he continues to stand out among emerging starlets for Team Pakistan. As soon as he is introduced on the pitch, Babar Azam would immediately scramble towards reading the game. He would not think ahead with what he would contribute at once. He would rather take a moment to acknowledge the condition, bowling, fielding set and what the opposition anticipates him to do. When he is taking quick singles and doubles, Babar Azam is thinking ahead of what he would do. He only buys time to read the game with his singles and fires up when opportunity prevails. He knows when to make chances count and be careful when danger looms around. That is exactly why Babar Azam managed to score centuries after centuries against West Indies and consistent half-centuries for Karachi Kings. This guy’s impulse is quite mature. It is like his game is already saturated and does not require much grooming with respect to time. What does he hold for team Pakistan? For Pakistani cricket team, the opening batsmen have always worked well. An opening partnership is an integral part of any game. A senior player on the other side can work well with Babar Azam because that is where the connection begins. The mature mind of Babar Azam in the game injunction with that of a senior player knows exactly when to turn things up, mark opportunities and build a strong tie between. Any strong partnership becomes a concrete threat. Best of all, when the best players join together, they become absolutely unstoppable. So, Pakistani cricket team has their opening problems settled as long as he starts. He would not require much pep talks or instructions to follow. His natural maturity would help him along, keep his composure intact which is basically what required of batsmen today. We wish him all the success in future. May he reap spectacular opportunities to his name and be one of the most feared batsmen out there! What do you think about Babar? “Babar Azam is developing every day. I think he is going to get only better and better.” – Mickey Arthur.